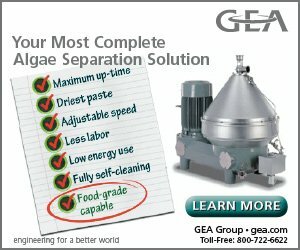 Home / Technology / Can multiple effect evaporators be replaced with algal technology? multiple-effect evaporator (MEE) is a system designed for efficiently using the heat from steam to evaporate water. 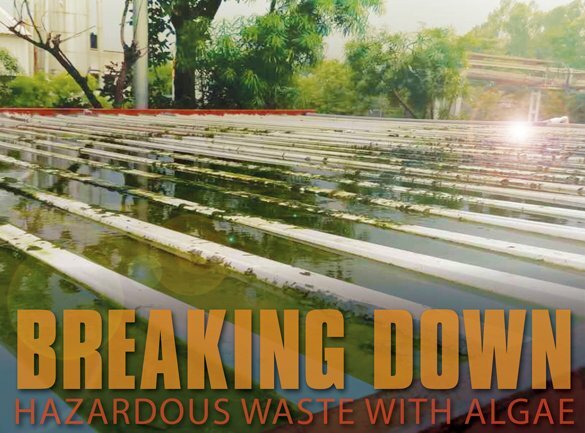 This equipment is recommended by pollution control agencies to evaporate industrial effluents and R/O (reverse osmosis) rejects with very high total dissolved solids (TDS) and it results in huge amounts of hazardous solid waste. In India MEE is extensively used in R/O reject management of textile and leather industries. The major problems with MEE are the costs of installation and operation and finally management of solid waste generated due to evaporation. 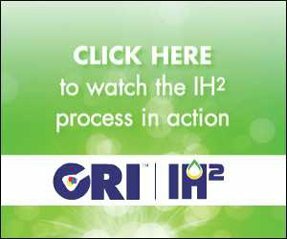 Because of these reasons industries have been looking for alternate technology to handle R/O rejects. 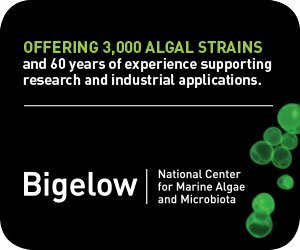 Phycospectrum Environmental Research Centre (PERC), in India, has recently developed and successfully demonstrated microalgae-based technology at Brintons Carpets Asia pvt ltd, India, very successfully. The R/O reject from Brintons has a TDS of 20,000 to 25,000 mg/L and this was continuously loaded into a 10 KL demonstration plant in which selected microalgae were also grown. The effluent with algae was allowed to run on a slope, for capturing sunlight and heat, and to evaporate faster. After a short initial salt buildup the system stabilized with no further increase in TDS, and further addition did not increase TDS. 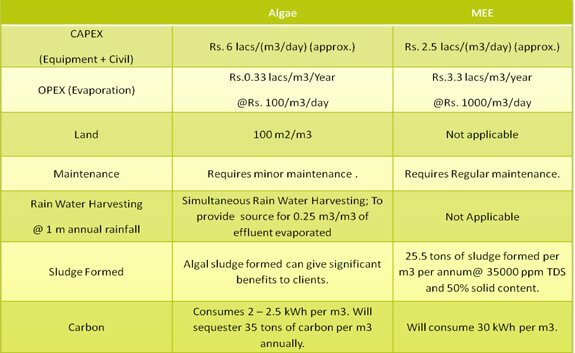 Algal biomass produced was collected on regular basis from the slope roof that is being analyzed for possible utilization. The system at Brintons Carpets is now stabilized, and has started producing almost 0.75 g of dry algal biomass per liter per day; and water is getting evaporated resulting in zero sludge. This system is currently being scaled up. 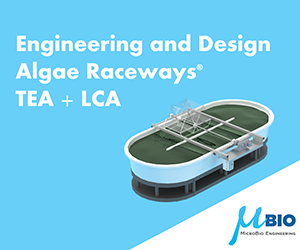 This successful implementation has proved the efficiency of an algae-based evaporation system in replacing MEE for handling high TDS waste streams like R/O rejects of various industries, and more specifically textile and leather industries. —Dr. V Sivasubramanian is Director of the Phycospectrum Environmental Research Centre (PERC), Chennai, India.